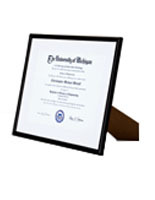 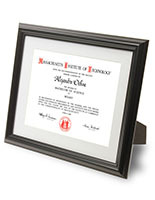 This 8.5x11 gloss black plastic economy frame is designed to hold standard "letter size" paper or graphics. 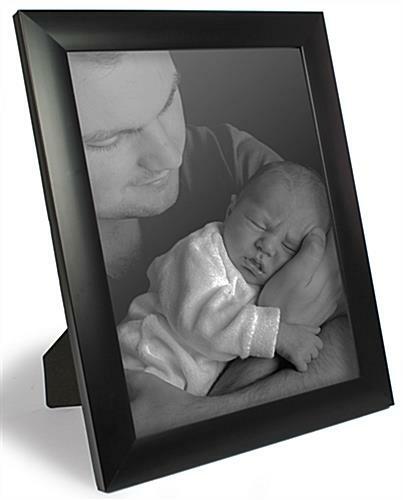 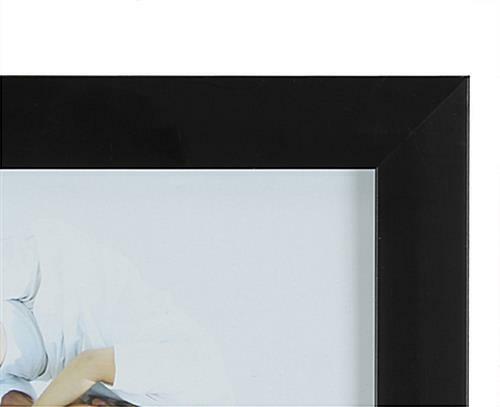 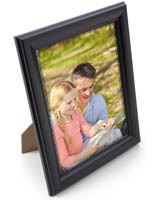 This type of picture holder is ideal for commercial or business use in addition to personalized displays of stock art or custom images and photos. 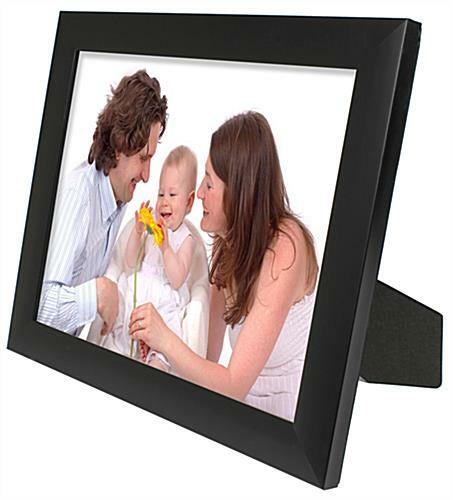 Each letter-size gloss black plastic economy frame comes with both an easel backer and mounting hooks on the back for desktop or wall mount use. 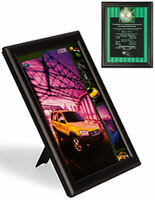 The rear-loading picture holder makes it easy to swap out custom graphics or messaging as needed. 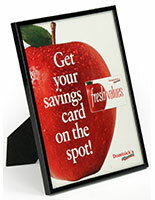 A stylish black plastic economy frame used at point of sale is a superior way to draw customer attention to menus and specials, event and sales information, service terms and much more. 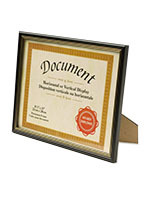 The lightweight framing is easy to move as needed, making it a great choice for trade shows and conferences as well as retail, restaurant, hospitality, commercial or institutional displays.